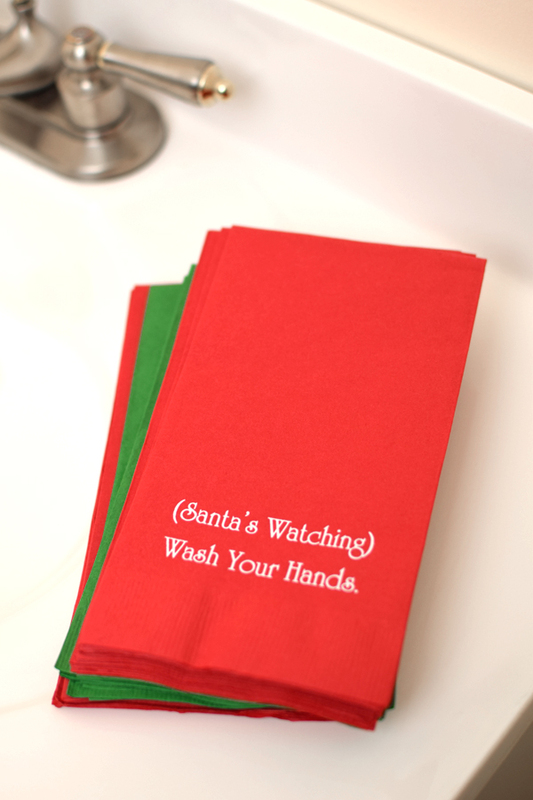 Dress up your holiday guest bathrooms with custom printed, disposable Christmas hand towels. The perfect holiday addition personalized with a Christmas design and your own message. Napkins are rectangular in size and measure 8 1/4 inches long by 4 1/2 inches wide. Great for setting next to hospitality baskets on the bathroom counter. Your guests will love the extra thought you put into your party details. Also works great as a dinner napkin alternative!